This is a guest post from scholarship recipient Jessica Hadley, a member of the Design for Learning community. In November, I attended the 2017 Association of Educational Communications and Technology’s International Convention in Jacksonville, FL. This was my first time attending such a large conference with over 1,000 people in attendance and hundreds of sessions. I was intimidated at first, but luckily by joining the School Media Technology division I was able to easily find my way! The theme of this year’s convention was “Leading Learning for Change.” This theme really resonated with me because I am constantly trying to demonstrate my relevance in my new district as a School Library Media Specialist. We are a 1:1 district where all students receive Chromebooks. Because of this, more technology is used within the classrooms and there is less of a need to visit the media center to use the computers (formerly the only access to class sets of computers that teachers and students had). My district’s robust professional development program has encouraged all teachers to become tech savvy, which is amazing. However, I am constantly trying to find new ways to show what the media center has to offer for both students and teachers as far as technology related lessons since our staff is so ahead of the game! 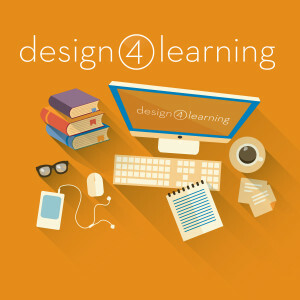 My work with D4L and understanding online learning has helped me when trying to get in touch with my middle schoolers who are digital natives by definition but often lack basic PC skills. They know how to access their games and Google classrooms, but terms like browser, search engine and URL are a foreign language. I want them to be prepared to complete college level coursework in an online environment. Although Google Classroom is widely used, different platforms are used by colleges that are more complex and require more tech savvy. After attending this conference and learning about emerging technologies, such as virtual and augmented reality in learning, I feel confident that I can bring some innovative lessons to the table that utilize these new technologies. I also attended multiple sessions on research related to online and distance learning that further reinforces the need for students to become comfortable working in an online environment. I am excited to become a technology leader in my building even though it could be a challenge due to the above-mentioned reasons. The need for a futuristic media specialist is there more than ever. Thank you D4L for your generous scholarship and for the opportunity to attend such an informative conference!